This is a photo also taken during the HDR photo walk with Trey Ratcliff. For me it was still funny that I was there with my puny little camera and tripod while to my right were the fancy tripods and cameras. I just imagine the other photographers wondering what I was thinking. I’m happy with how it turned out. Even without the HDR photos of the pyramids turn out nicely. I may post some later on from my pre-HDR days. My theory for this is that the yellow lights cause the auto white balance to boost blue which in turn brings out the sky. 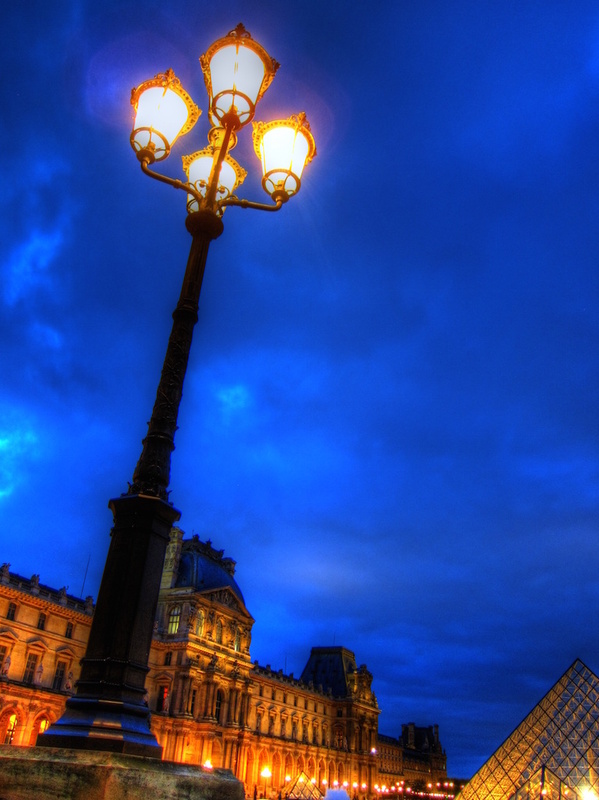 This entry was posted in Paris, Photography and tagged HDR, Louvre Pyramids, Paris, Photography on May 24, 2015 by robezman.